These issues, along with warming are major problems our oceans are facing today and we are losing our food, oxygen and fresh water daily. "With this series of work I aim to highlight the fragility, as well as beauty, and hope to inspire many more people to protect our oceans and collaborate with organizations such as Sea Shepherd." Textiles for The Empty Oceans Series were first created and designed by hand in the same concept before the fashion garments were even designed says Kuvan-Mills. "It revolves around free flowing patterns inspired by oceans. This approach is dispersed into different areas; eco dying, printing and felt making and knitting. Tumbling underneath the white waves amidst effervescent aqua and grey tones, irregular organic shapes of sea organisms, brilliant marine hues, course knits made entirely from alpaca yarn, hand spun organically kept alpaca fibre." Every single garment is laboriously handmade, this aspect is not just a consequence of small production, but a conscious decision intended to maintain the integrity of the collection. "As my ideas and understanding around slow fashion evolve and the value of sustainability developed, creating everything by hand offered a result that was unique, which could not be exactly replicated and gave the garment a history and authenticity." 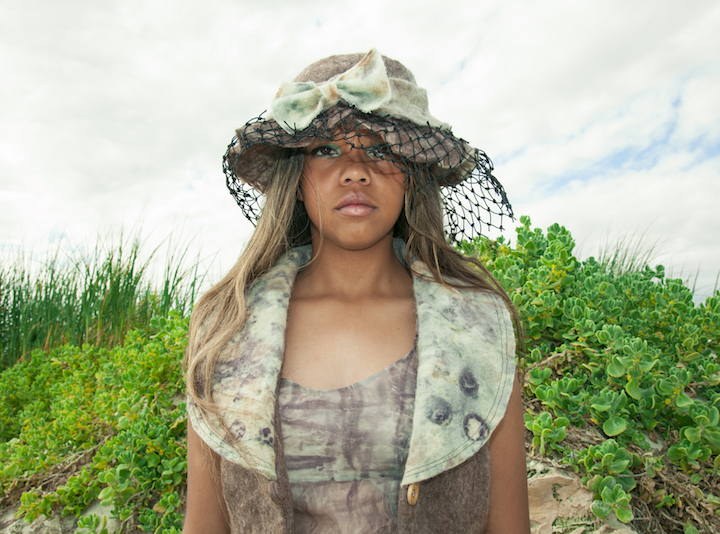 "The Empty Oceans Series begins with a time-honoured idea, a connection between Fashion and Art. Handmade generating long-term conscious effects in connecting us with nature, community and ourselves. I am driven to action by more serious issues, like the depletion of natural resources like our Oceans." With this collection my mission remains clear; I want to create an understanding of ecological issues through the medium of textiles and fashion. We have treated the ocean with incredible disrespect, taking from her all that we need, and feeding her back all that we don’t. The ocean is everything to our human species from the air that we breathe to the water we drink and the food that we eat. We rely on the ocean for all of it. Her expression of shapes were inspired from marine animals, while the designer explored the relationship of shape, colour and pattern on a raw silk organza, hand spun and waved silk with felted alpaca fabric as a canvas. 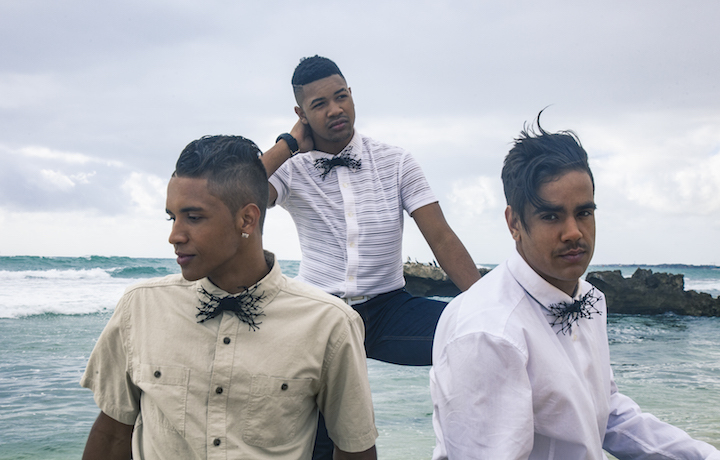 Patterns were also created by knitting with texture, while all the leftover cut off fabrics were utilised as a yarn for knitting new pieces and creating accessories such as bow-ties and hats - in line with Green Embassy's Zero Waste policy. Layer upon layer of pattern is created not only during the eco print making process but also with vegetable peelings and the space within the structures and the play of shadows and reflections created by them. (use of industrial fishing nets). In addition the reflection of water and sandy beaches where patterns are created by the ebb and flow of tide was also a source. "My drawings were more abstract compositions of lines and patterns which demonstrated an action, exploring, denying, and confirming to express my feelings of sadness about the oceans where I have used colour and form." Kuvan-Milles said the following materials were used as a starting point - industrial fishing net remnants and re -cycled polyester made of trash, plastic bottles, drift/ghost fishing nets, rather than the mere conventional approach of starting a piece from design idea only and then choosing the materials to emphasise the form. This contributed greatly to the fresh and imaginative character of her work. "The conception of my ideas with links of inspiration goes on before and after the creation of textile forms as felt and printed raw silk organza, knitting and then they float with me. It’s a powerful and ongoing source of inspiration." "The Empty Oceans Series is my emotional response to the Worlds troubled Oceans. Its inspired by marine life and its wide diversity of forms, shapes, colours, textures and wonderful structures." Every piece in this collection is a three-dimensional canvas, the wide opening echoes the vastness of the ocean which represents more of a fluid form. Crashing waves, sea animals, shapes and textures translate into surface patterns and mark making which complement and echo the philosophy of Green Embassy. 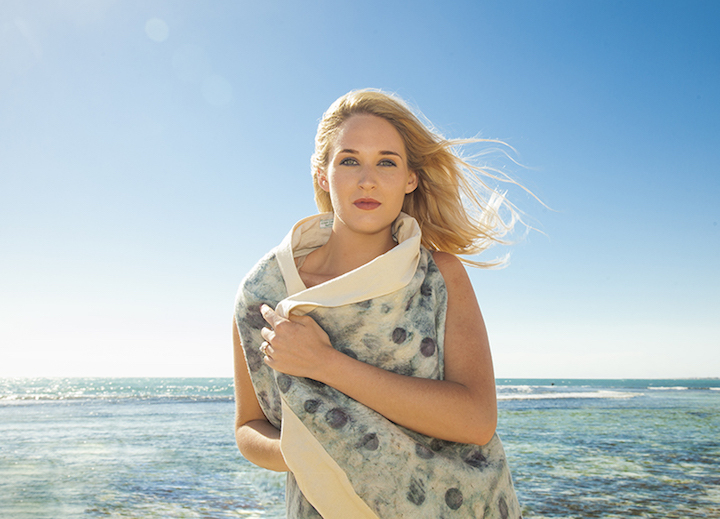 Zuhal Kuvan-Mills is the founder of Perth Eco Fashion Week which will debut in November 2017. 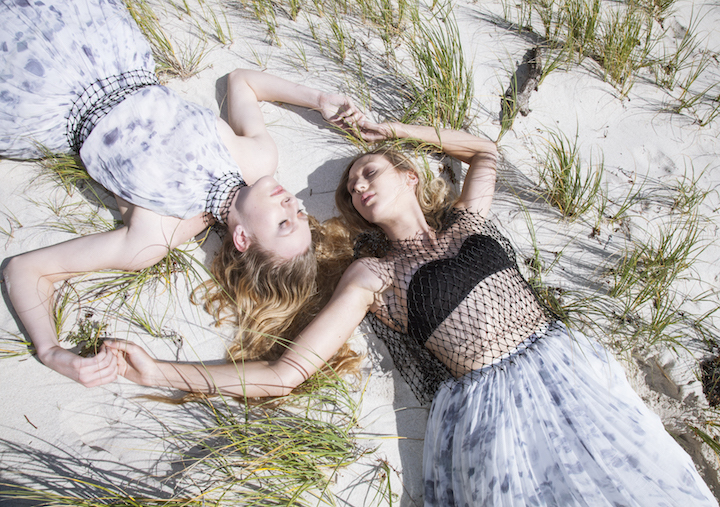 Perth Eco Fashion Week will be packed with national and international designer runway shows, design and textile art exhibitions, pop up shops, workshops, and seminars to promote sustainability. A call for designers is now underway.